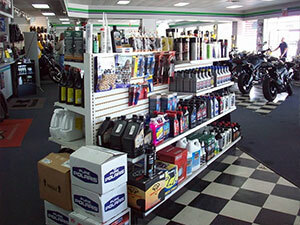 We offer a large selection of parts and accessories. 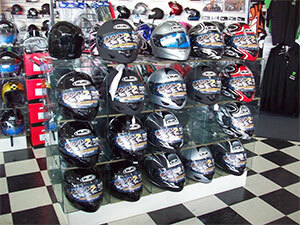 Our showroom features the latest in Can-Am, Kawasaki, Polaris®, and Sea-Doo. If we don't have it in stock, we can find it for you. 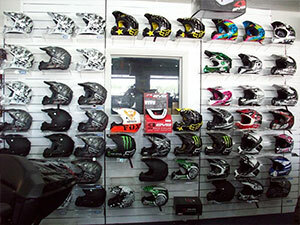 We can also assist you with customizing your ATV, motorcycle/scooter, personal watercraft or UTV. You get the most satisfying results with a plan for how you want it to look. 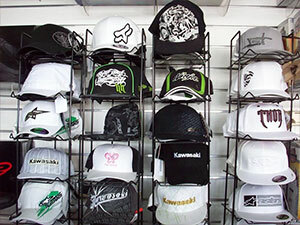 We customize Can-Am, Hyosung, Kawasaki, Polaris®, and Sea-Doo all the time, so let us help you design yours! 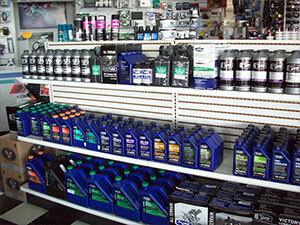 Stop by and enjoy friendly service for all your parts and accessory needs. 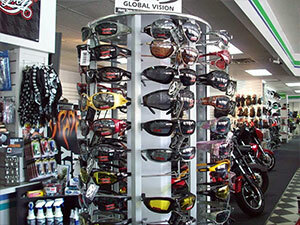 Our parts and accessories department is stocked with the latest accessories and gear for your motorcycle, ATV or personal watercraft. Having trouble finding a special item? come in and we can find it for you. 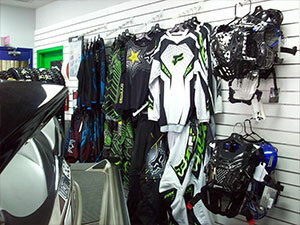 Our experienced professionals will help you customize your vehicle and outfit for your riding lifestyle. 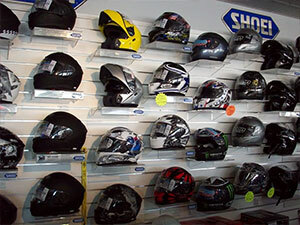 Choose amongst various brands of helmets, apparel and added toys to your vehicle. Any questions? Don't hesitate to tug on the sleeve of one of our associates. If you would like to place an order online, please fill out the Parts Request form on this page or call us at .